We're committed to supporting our team both personally and professionally so you can do your best work and ignite a passion for learning in students. Green Dot Public Schools operates 8 middle schools (serving grades 6-8) and 12 high schools (9-12) across the greater Los Angeles area. 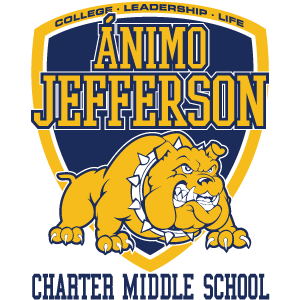 Our newest school, Ánimo Compton Charter School, is a span school, which will serve grades 6-12. Our schools serve around 600 students, and the average class size at Green Dot is 25-30 students. I often hear from parents, past alumni, and community members who sing our praises, share wonderful anecdotes of their achievement since high school, and consistently mention our school, teachers and staff as the reason they've become so successful. You'll be surrounded every day by a supportive network of intelligent, passionate, and hardworking colleagues. You'll receive unmatched feedback, thrive in a diverse culture that encourages collaboration, and gain opportunities to grow through data-driven professional development. Once you have submitted your application online, one of our Human Capital recruiters will perform an initial resume screen and credential check. This helps us determine where you may best fit at Green Dot and what positions you can jump into immediately. Qualified candidates will be invited to complete an online video interview operated by a website called Vidcruiter. While you will not speak directly with a recruiter during the video interview, a recruiter will contact you by phone to speak more with you about our organization and answer any questions. Recruiters will then match you with the Green Dot school that is the best professional and cultural fit for you. The third and final stage of the interview process is an in-person interview with the school leaders at the school our recruiters believe you will be most successful. This is an opportunity for you to demonstrate your instructional strength by performing a demo lesson, as well as become acquainted with the school leadership team and culture. Green Dot will determine your base salary using an established salary schedule, that was agreed upon between Green Dot Public Schools and our teachers’ union, Asociación de Maestros Unidos. Green Dot Public Schools will send you written confirmation of your base salary shortly after we receive your official transcripts and Verification of Experience form(s). I joined Green Dot because its mission aligned to my own educational philosophy. Growing up in a low-income neighborhood while attending a school in a neighboring middle-class suburb, I had experienced first hand the disparate versions of schooling offered to kids in my neighborhood versus the kids I went to school with. Our mission bridges the two worlds, so I'm excited to be a part of the bigger movement to transform public education. I don't have a California Preliminary or Intern Credential yet. Can I still work for Green Dot? Green Dot Public Schools hires applicants have the eligibility to receive an emergency permit, OR already has a valid teaching credential, as determined by our in-house Credentials Team. While it is not required to have a full teaching credential upon offer of employment, all applicants must (at minimum) have passed a basic skills exam and hold at least 18 semester units in a specific subject matter on their undergrad transcripts. My program says that I'm "intern-eligible." Now what? A: Individuals who have intern eligibility should receive physical documentation from their education program, and present it during the application process. At Green Dot, an individual who is intern-eligible and has been made an offer of employment will receive an 'intent-to-offer' letter to submit their program. The education program should, in turn, make a recommendation on behalf of the individual to the Commission on Teacher Credentialing (CTC) for the intern credential. I have a Multiple Subjects Credential. Can I work for Green Dot? A: Individuals who hold a Multiple Subjects Credential may be hired to Green Dot, but they will be required to submit for an emergency permit called a Limited Assignment Permit (LAP). This permit will be assigned for a specific subject matter, and the individual will be required to add the specific core subject matter to their current credential within one year of hire. In order to add an authorization to a current credential, an individual must either: 1)pass all CSETs in the subject matter; OR 2) take coursework resulting in 20-32 semester units in the subject matter; OR 3) Perform a combination of coursework and passing CSET tests. To learn more, please visit the CTC website. I am interested in teaching in a subject outside of what my assigned subject matter says on my credential. What do I have to do? A: Individuals interested in teaching a subject outside of their credentialed subject matter will be required to add an authorization for the subject matter of interest to their existing credential. If the request to teach outside of his/her credential subject matter is granted, the individual will be required to obtain an emergency permit called a Limited Assignment Permit (LAP). This permit will be assigned for a specific subject matter, and the individual will be required to add the specific core subject matter to their current credential within a year of hire. In order to add an authorization to a current credential, an individual must either: 1) pass all CSETs in the subject matter; OR 2) take coursework resulting in 20-32 semester units in the subject matter; OR 3) Perform a combination of coursework and passing CSET tests. To learn more, please visit the CTC website. I've heard you must have an EL-Authorization in order to teach at Green Dot. Is this true? Why do I need one? A: In addition to having an authorization in the content area of instruction, all Green Dot teachers need an authorization for instruction to English learners. The CTC requires EL authorizations when the local level determines that EL instructional services are necessary, regardless of Schools' "decile" rank, subject area or type of setting, number of EL students in the class. The large majority of students in the communities that Green Dot serves are English learners. For this reason, all teachers must have an EL authorization. To learn more, please visit the CTC website. My ideas are valued, and my colleagues work collaboratively. My job is about creating social change, so I am part of something bigger than myself. The stakes are high in California. We are working toward something bigger. Public education in California state mirrors national trends for students in historically underserved communities. More than half of our students qualify for free or reduced school lunch, more than 20% of our students receive special education services and at least 10% of our students are English Language Learners. Our efforts are giving hope to a whole generation of students. For too many years, the areas that we serve have been overlooked and forgotten. We have made the youth of these areas the focus of our work. Our goal is to motivate our students so they have the aspiration and ability to go to college. Hopefully, when they graduate from college, they have a desire to return to their community and work to improve it for the next generation.